The demands placed on your business are moving at a faster pace every day. On top of it, the amount of information everyone is expected to sift through is growing by leaps and bounds, and your company does not have the resources to continually organize and update data into meaningful reports for every team member. In fact, 47% of midsized businesses agree that too many decisions are based on inaccurate or incomplete data, and 90% of business decision-makers at midsized companies don’t always have information available when they need it. This results in late decisions based on inaccurate data. Good news! Now you can transform your complex, fragmented data into meaningful information by using a business intelligence software designed for medium to midsized businesses like yours. 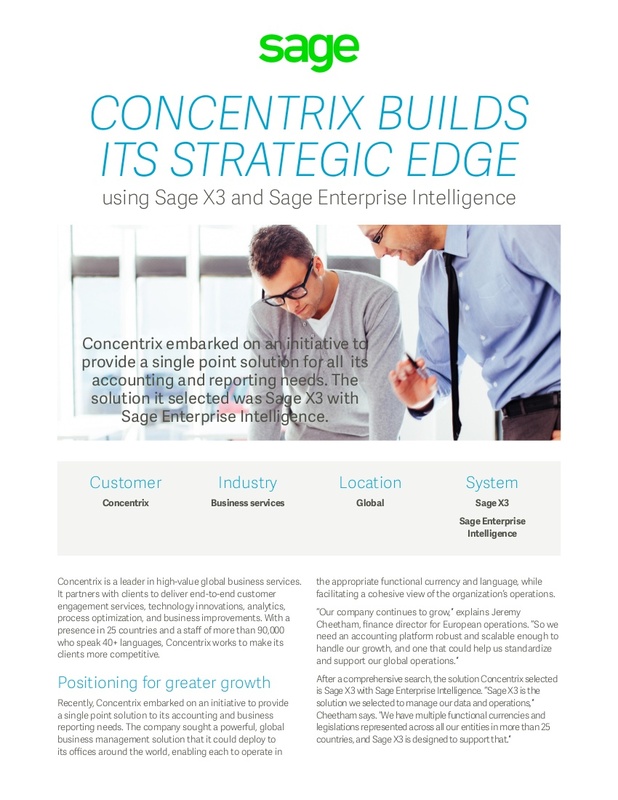 See Sage Enterprise Intelligence in action—watch the webcast to learn more. 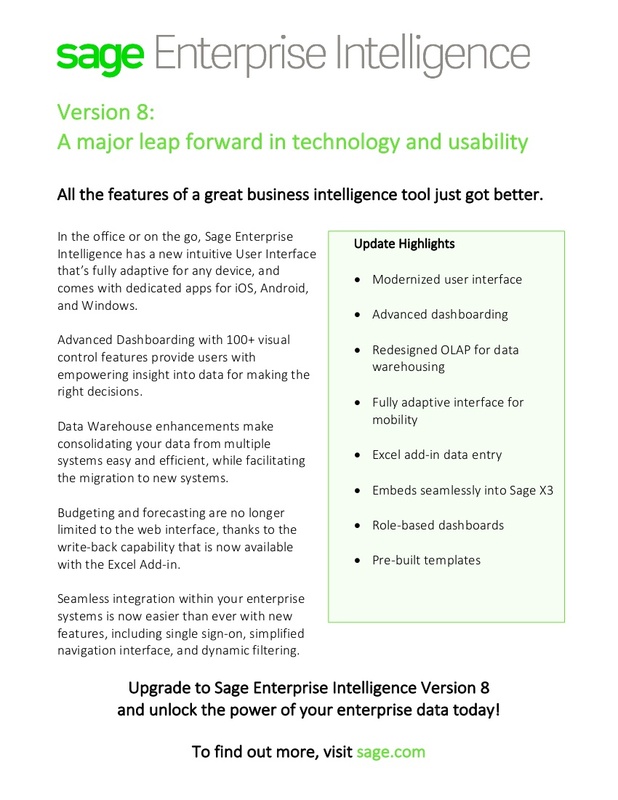 Sage Enterprise Intelligence gives business users, managers, and executives the power to analyze and create business reports, dashboards or views on their own and specific to their job—with no special expertise required. It offers intuitive viewing through a web interface, mobile devices, or through an Excel-based interface. 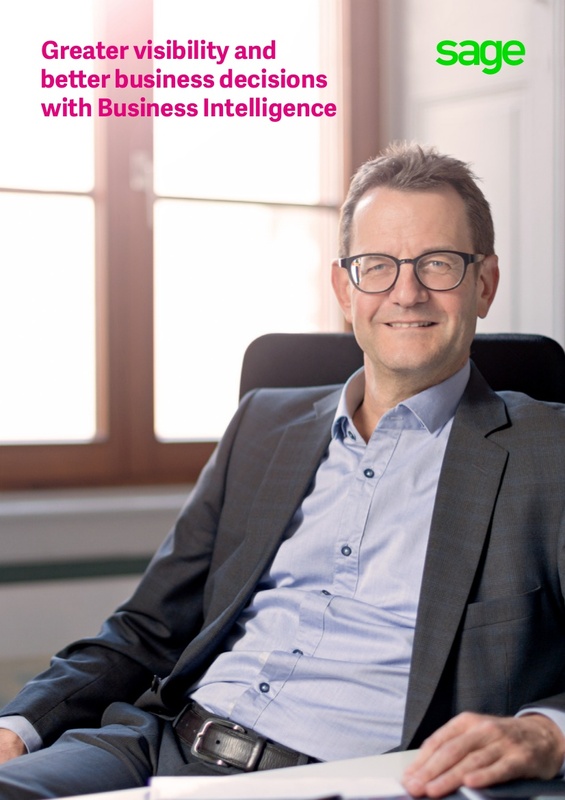 Business intelligence provides a compelling presentation of data that gives a clear picture across the whole organization—through user-defined reports, dashboards, KPIs, visually create a personalized view, and drill down to view data that’s most meaningful to your role in the organization. 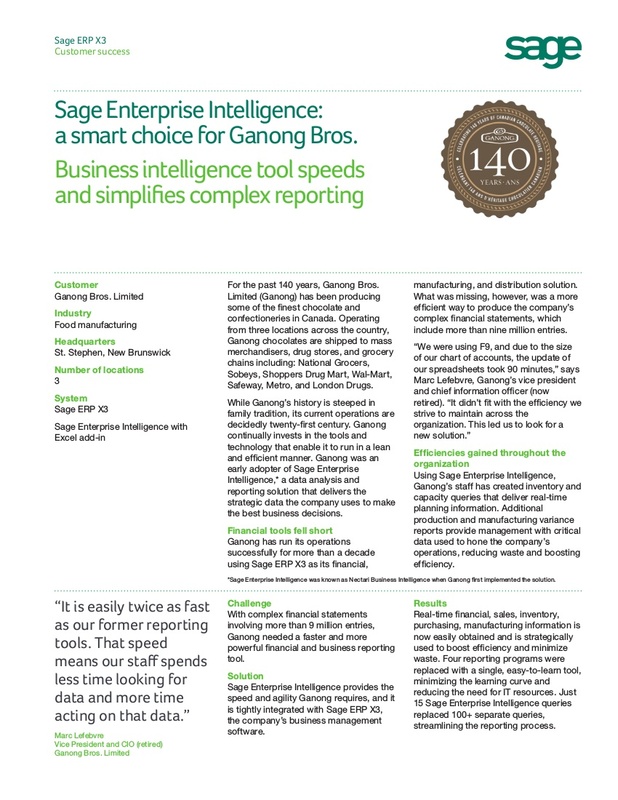 Sage Intelligence Reporting helps you reduce spreadsheet chaos and improve collaboration within your current Sage business management solutions, paving the way for growth and long-term success.